Dorm Co. Tip: Stay safe in your dorm room and prevent theft! When you're dorm room shopping for your college supplies, you want to make sure you are completely prepared. Going to college fully prepared from the start will make things less stressful as you go. There's nothing worse than getting to your college dorm room, unpacking your dorm necessities, and finding that you forgot a few dorm essentials that you really needed. Along with your Twin XL Dorm Bedding, one of the most important dorm essentials you need on your college dorm checklist are dorm items for dorm security. You want to make sure you have a dorm safe in your college dorm room for your valuables like your passport and credit cards as well as a padlock on your dorm trunk, but you also want to protect your dorm items from the start with our Dorm Door Stop Alarm. 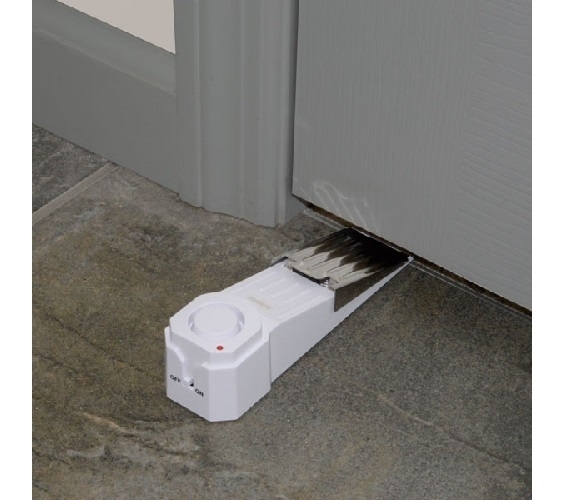 Our Dorm Door Stop Alarm is a cheap dorm supplies product that you shouldn't go to college without. It is a dorm essential that doubles as a door stop so when you don't need the alarm function you can simply flick the switch to off and use it to prop your dorm door. When you need the alarm function, simply turn the switch to on and if someone tries to enter your college dorm room, a loud 120 dB alarm will go off and wake you and alert others to what is going on. 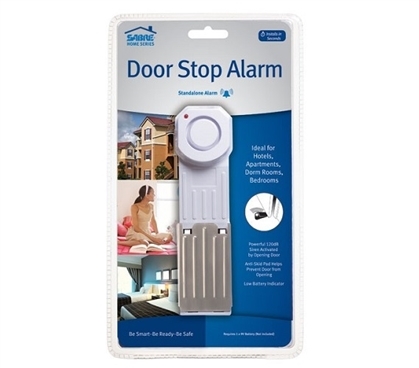 Don't go to college without dorm security items like our Dorm Door Stop Alarm to keep you and your college supplies safe!